It was a great bonus to get to listen to the band’s music (including a treasure trove of live tracks) as I created this site. The site gives visitors on all devices a clean and easy experience as they check out the band’s music and videos, tour schedule, photo galleries, and merchandise. 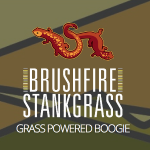 The guys in Stankgrass are touring hard, so do your best to catch them and support a great Asheville band.